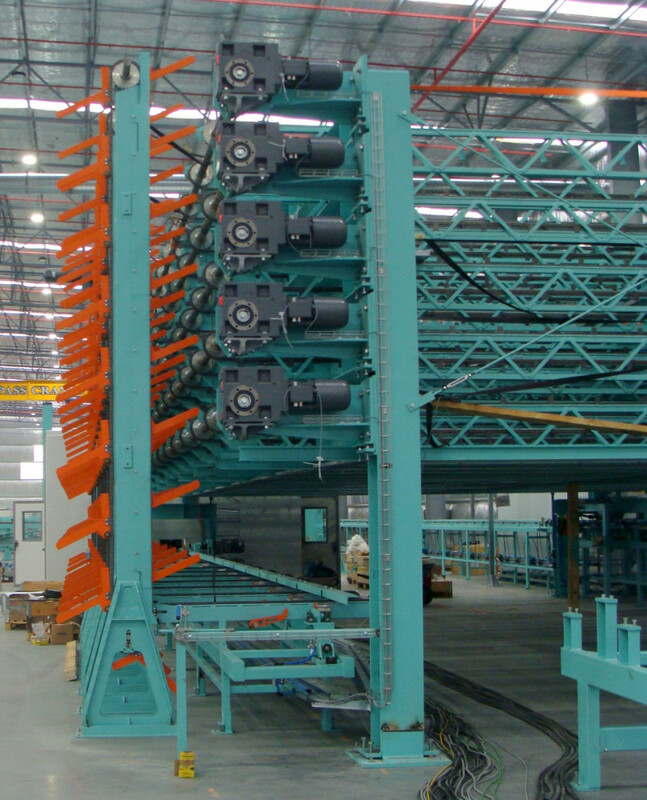 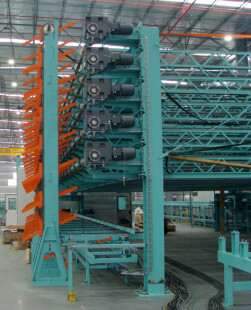 Finger jointed laminations require a curing period during which the glue will harden to facilitate further processing. 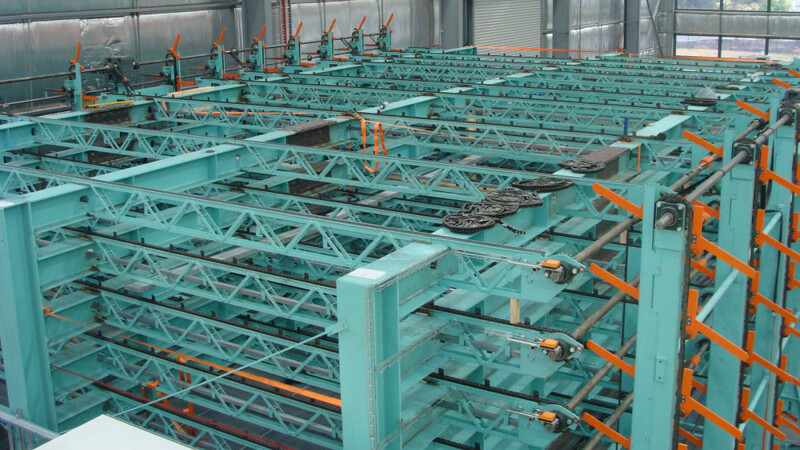 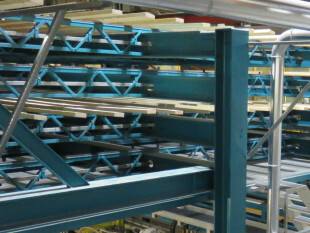 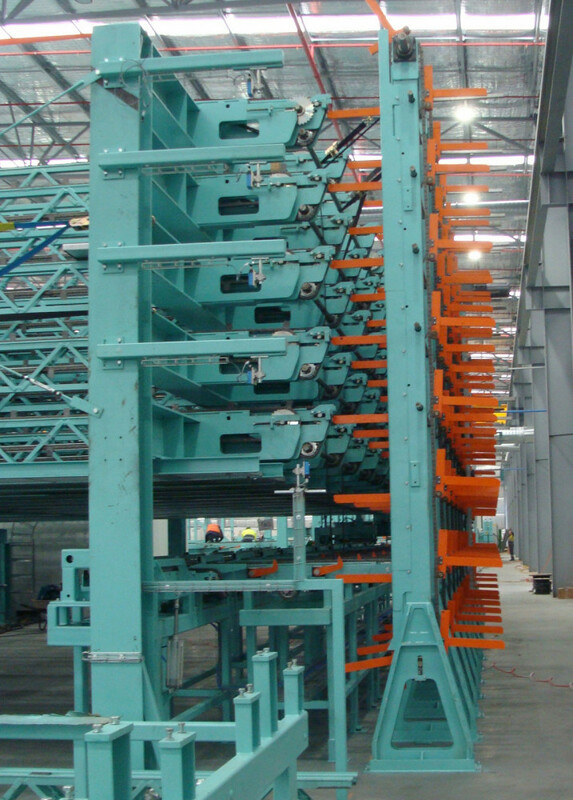 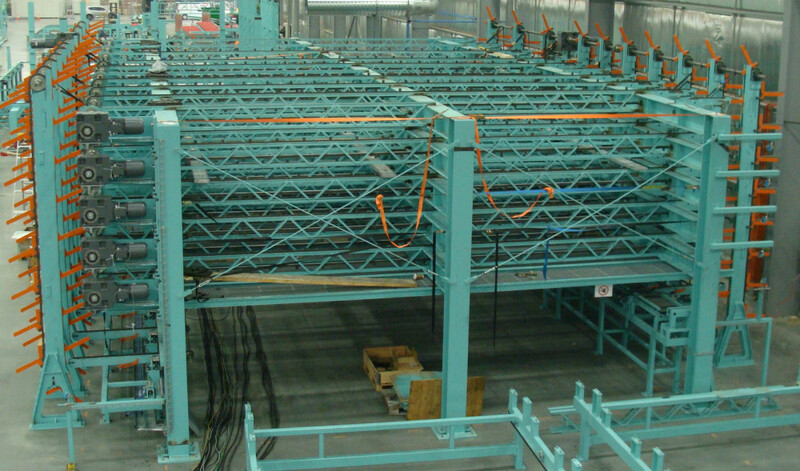 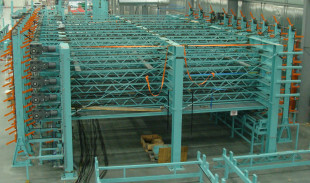 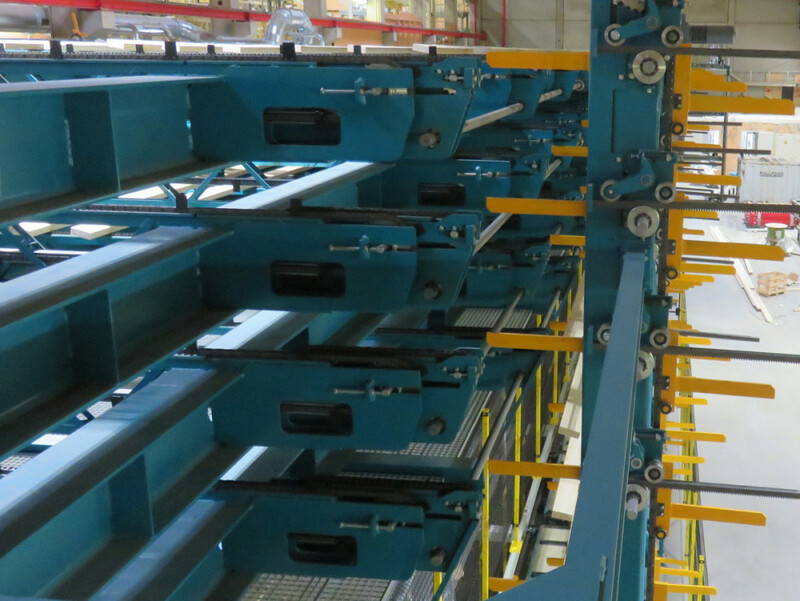 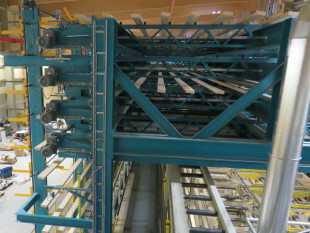 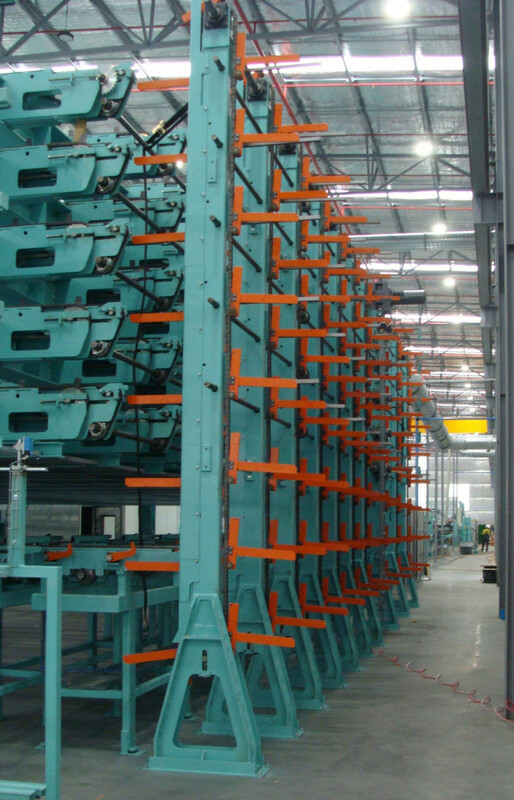 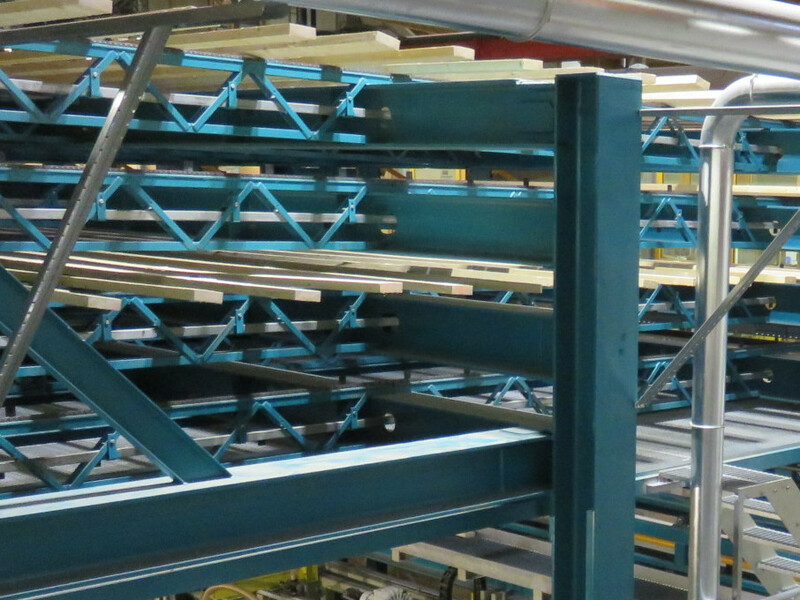 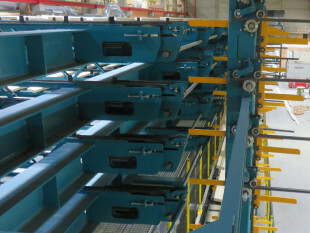 Multi-level storage is used for variable production processing and glues with short curing time. 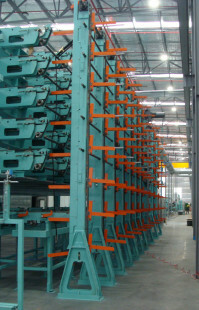 It is the optimum solution for Batch size 1 facilities. 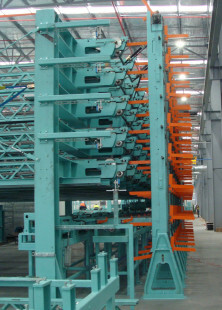 It stores boards separated by quality and size and thus allowing the finger jointer to operate somewhat independently from the pressing order.